Russia once again deliberately snubs America, this time by bombing U.S. allies in Syria, despite the presence of U.S. fighter jets. It’s hard to find “good guys” in Syria. Many of the groups that America may want to support against Syrian dictator Bashar Assad have links to al Qaeda or other Sunni terrorist groups. And many groups fighting the Islamic State have links to Assad or to Iranian-backed terrorist groups. But one group that comes closest to being “the good guys” is the New Syrian Army (nsa). The group focuses almost exclusively on fighting the Islamic State. It is funded by the Pentagon and has received training from British and American special forces. Then Russia bombed the nsa, repeatedly, despite the presence of United States fighter jets. Even before Russia’s bombing of the nsa, America was losing patience with Russia’s behavior in Syria. On June 15, a seemingly irritated U.S. Secretary of State John Kerry complained that Russia and the Assad regime were not sticking to the ceasefire agreement enshrined in United Nations Security Council Resolution 2254. “We are not going to sit there while Assad continues to offensively assault Aleppo and while Russia continues to support in that effort,” he said. “Russia needs to understand that our patience is not infinite, in fact it is very limited,” he warned. The nsa was protected by that ceasefire agreement. But the day after Kerry said America was running out of patience, Russia bombed the nsa in al-Tanf, near the Syria-Jordan border. This was not an area Russia had bombed before. It’s not a hotbed of terrorist activity. Russia went out of its way to bomb one of America’s closest allies in the region. American forces immediately used their hotline to the Russian command post—set up by both sides so that any misunderstandings could be resolved quickly. The Russians ignored American demands to stop bombing, the U.S. scrambled a couple of fighter jets. When the F/A-18s arrived over al-Tanf, the Russians left, either to avoid the U.S. fighters or because they were out of fuel. While the F/A-18s remained over the area, Russia stayed away. 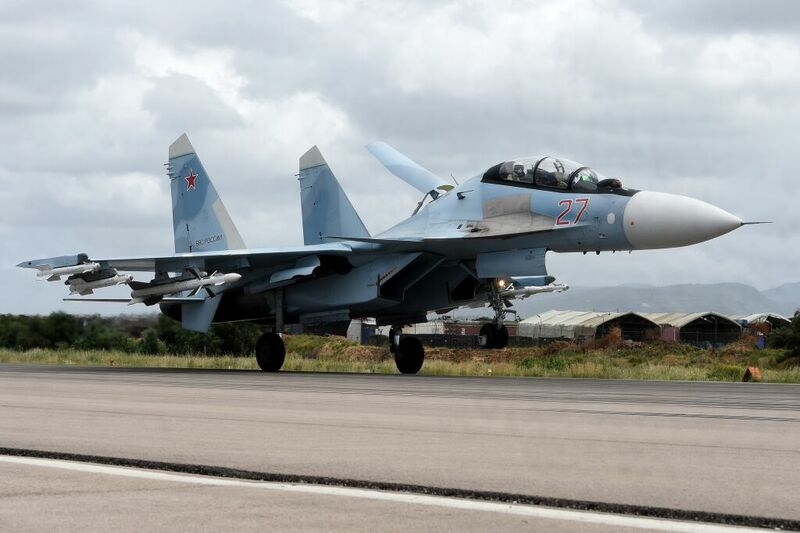 But once the American jets left to refuel, Russian planes came back for another bombing run. American forces used the hotline to Russia again. No response. An American airborne command post radioed the Russian jets directly. No response. But it gets worse. Now it looks like in conducting the bombing, the Russians used illegal incendiary “cluster bombs.” Russia has denied using these bombs on several occasions. In a spectacular own goal, Russian state-controlled broadcaster RT showed footage of these incendiary bombs loaded on Russian planes in Syria. It later deleted the footage—which led to accusations that it was covering up war crimes. The nsa claimed that Russia used these illegal bombs against them. It published photos to back up this claim. Frankly, there are several very troubling issues with this incident. The first is that American aircraft in the region could not hold air superiority over the target for very long. President Obama sent two aircraft carriers to the Med to make a point and beat his chest in front of Russian President Vladimir Putin. It looks like Putin beat back by killing American-backed forces, an in-your-face rejection of American military superiority. This makes Putin look really good and strong to his own population and that of the world.How is it that two aircraft carriers could not deal with this situation? Was it rules of engagement? Was it interference from the National Security staff? Was it that the U.S. military is just worn out? Was it just bad luck? Something smells in Denmark, or Syria.The fact that Russia just showed this administration who is boss in the Middle East is extremely disturbing and not being talked about in the media. “Unprofessional” and “problematic” were the strongest words American officials used in public about Russia’s actions. Despite Kerry’s warnings about America’s “very limited” patience, nearly two weeks later, there have been no consequences for Russia. The total extent of America’s response was a mild rebuke and a video conference, where U.S. officials “expressed strong concerns.” Maybe next time the U.S. will escalate things to a strongly worded letter. With this bombing, Russia sends a clear message to groups in Syria and to nations around the world: There’s no point siding with the U.S. It can’t protect you. You’d be much better off coming to an agreement with Russia. This is just the latest step in a Russian strategy that has been going on for at least a decade: chip away at America’s reputation; show the world that America doesn’t follow through on its promises. That’s what makes this attack so dangerous. If this were a one-off, it wouldn’t be such a big deal. But it’s part of a trend. In 2008, Russia invaded Georgia despite the fact that Georgia was a Western-aligned friend of the U.S. President Putin showed the world that even if you are America’s friend, it’s not going to protect you. Then there was Ukraine. America had actually signed a treaty promising to protect Ukraine. Putin showed the world that even if you have a black-and-white guarantee from America promising to protect you, it’s worthless. Then Mr. Obama drew a “red line” in Syria. With Russia’s backing, Assad crossed it. Putin showed the world that even if America threatens you with consequences, it doesn’t mean anything. Now that credibility is greatly diminished. China is laying its hands on disputed island chains. People are genuinely worried that Russia could try to take one of the Baltic states. International relations expert Hans J. Morgenthau wrote in his book Politics Among Nations that “a policy of prestige is … an indispensable element of a rational foreign policy.” Why? “What others think about us is as important as what we actually are.” If America is seen as powerful, it won’t have to prove that it is powerful by using its army to get its way. Its word will be enough. But if people doubt the nation’s power or will to back up its word, then the nation may have to use military force. If you were to sum up one of Russia’s main foreign-policy strategies in just a few words, it would be: attack America’s prestige. In a way, it is astonishing that Russia is winning in this. California alone has a bigger economy than the whole of Russia. Put California and Texas together and you have an economy twice the size of Russia’s. If you just look at the numbers, Russia should not be able to dent U.S. prestige. But it can and it is. And in diminishing America’s prestige and reputation, it is in reality decreasing America’s power. In Leviticus 26:19, God warns America that if it disobeys Him, “I will break the pride of your power.” America has power, but it lacks the will to use it. This weakness is emboldening America’s enemies around the world. For more information on the Bible’s warning for America, read our free book The United States and Britain in Prophecy. Syria: Could Britain and America Be Any Weaker?